Bear Retirement Home - Sargeras (US) - Retired Bears join Battle for Azeroth! Retired Bears join Battle for Azeroth! Battle for Azeroth is upon us and has brought with it exciting(?) things like azerite gear, horribly expensive consumables, personal loot for all, a new raid tier, and the inevitable roster changes. A handful of long standing and well loved raiders have left Bear Retirement Home and are now pursuing endeavors elsewhere. We wish them all the best! 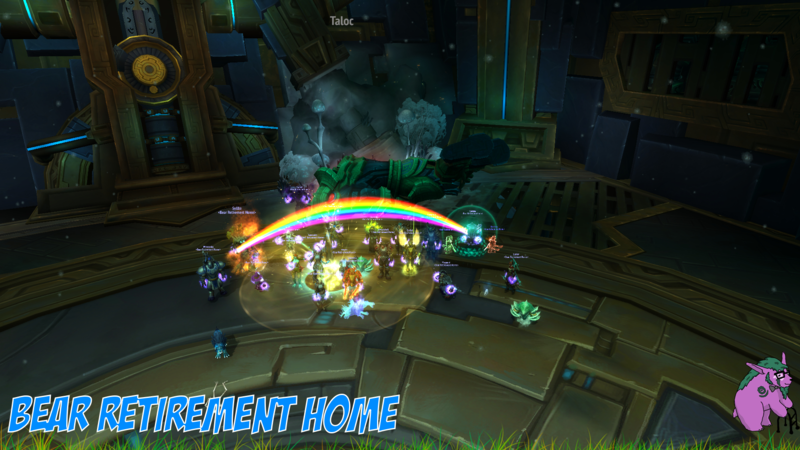 After a very busy recruitment period, our revamped raid team has hit the ground running and we are now making headway into mythic Uldir. 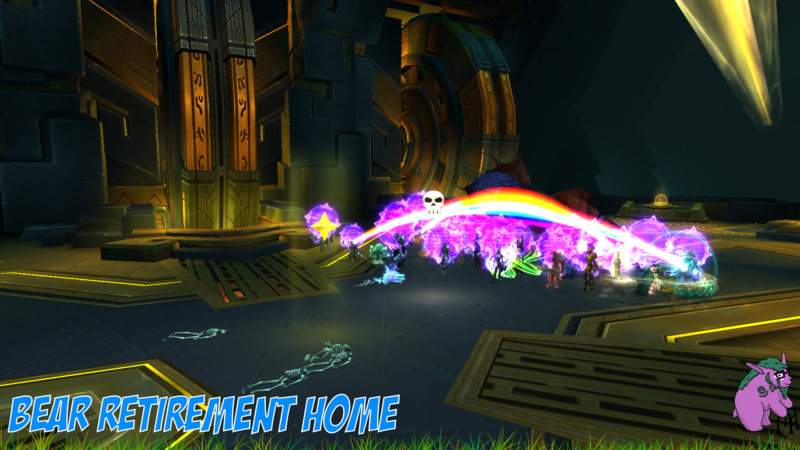 Zek'Voz went down on Monday in true BRH fashion as we secured the kill with 15 minutes left in the raid. This puts us at around 720th US, which is a respectable position to be at early in an expansion. Now, here are some truly awful screenshots I took of the Taloc and Zek'Voz kills. There was talk of taking a MOTHER screenshot, but for some reason it didn't feel like much of an accomplishment. Shoutout to Arlaria for adding the guild logo and banner text for me!